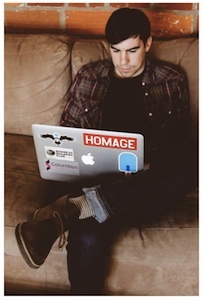 Sending Email From Gmail Using Golang | I care, I share, I'm Nathan LeClaire. As part of the soon-to-be-deployed checkforbrokenlinks app, I found myself faced with the task of creating a contact form that would allow users to send me feedback on the app, so I could improve it and make it better in the future. In order to do so I had to figure out a way to configure my server-side backend, written in Golang, to perform all of the neccessary steps in order to send me an e-mail from the front-end (written in AngularJS). Looking into it, I don’t see too many e-mail sending implementations in Golang available easily online, so I’m putting the results of my research out there for all to see. 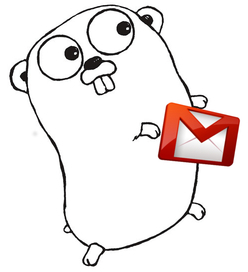 Golang provides a smtp (Simple Mail Transfer Protocol) library as part of its net package. "net/smtp" exposes some useful functionality right out of the box. As it turns out, it’s [not too hard]() to connect to [Gmail]() using net/smtp, which saved me some serious misgivings I was having about setting up and configuring my own mail server (I’ve no doubt it could be done, but I was looking for a quick and simple solution). So I signed up for a new Gmail account and connected to that to send e-mails to my primary address from the Check For Broken Links app form. As it turns out, doing so with "net/smtp" is fairly straightforward. You call smtp.PlainAuth with the proper credentials and domain name, and it returns you back an instance of smtp.Auth that you can use to send e-mails. I use a custom-defined struct called EmailUser to define the parameters for that call for clarity’s sake, and so that I can keep them defined in a configuration file. Odds are good that you don’t want to send identical e-mails all of the time, so I’ll walk you through setting up some basic templated e-mails and then show you how to send them using net/smtp after we’ve already connected to Gmail. When you format an e-mail sent with SMTP correctly, useful information about the sender, subject, and so on will be parsed out of the e-mail’s body and interpreted/displayed by the recipients e-mail client in the manner that one would expect. You can also use more complex template structures to generate e-mails that have more user-specific data, for example if you wanted to send your customers a customized report of their server’s bandwidth usage over time via e-mail, or a list of the items they purchased and their invoicing status. "Hello, this is a test e-mail body." err = smtp.SendMail(emailUser.EmailServer+":"+strconv.Itoa(emailUser.Port), // in our case, "smtp.google.com:587"
If you want to send e-mails concurrently, or just not block in a HTTP handler, you can encapsulate the above functionality in a function and invoke it with go sendMail(/* params ... */). "net/smtp" gets the job done, but specifically for the task of sending e-mails from Gmail it takes a little bit of setup. I may take a whack at making a simple, clean implementation of a library for this purpose (also providing support for boilerplate templating). Hope this article has been useful and you have a Merry Christmas. And as always, stay sassy Internet.